Update: Steve Brown says he wasn’t heckling the attacker on stage last night at The Comedy House comedy club in Columbia S.C. Steve gave an update on his Instagram this morning along with photos of his minor injury. The comedian seems to be taking it in stride and enjoying the extra attention. However, he is adamant about many of the clubs needing extra security. I can imagine The Comedy House will come under fire for this one. So….. I’ve told these comedians that you have to watch what you say to people. Everybody loves to laugh, but everybody a’int wrapped too tight. Some people don’t feel like those are jokes you’re telling. 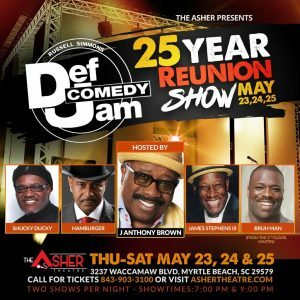 Is the Columbia South Carolina Comedy Club even safe any more? 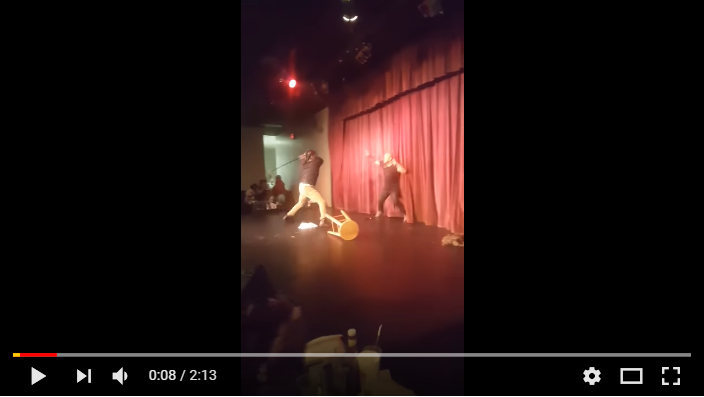 Here’s the video of comedian Steve Brown being attacked by an audience member and you be the judge…..
Now, if that was too serious for you… Here’s the “comedy” side of things…. Hosting Karaoke At Spencerz Sports Bar and Grille in Surfside Beach!!!! Friday Nights!! !